This delightful 19th century Victorian house uniquely set in the grounds of the impressive 12th century Boyle Abbey with the Boyle River running peacefully alongside the grounds is the perfect place to enjoy all that Boyle & the surrounding areas have to offer families, groups and adventure seekers. Amber Bed & Breakfast is situated in a beautiful, scenic part of the north-west, between Lough Arrow and Lough Key, 6km off the N4 (Dublin-Sligo road). This is a new house which offers two large double rooms and a family room with a double bed and a single bed. All rooms are en-suite with power showers. Homemade breakfast is served in a bright, spacious dining room with individual guest tables. Forest Park House is a luxury four star Failte Ireland Approved Bed & Breakfast located beside the main entrance to the beautiful Lough Key Forest & Activity Park in Boyle. All of the 6 deluxe rooms are spacious with modern en-suite facilities and most are on the ground floor. Tea/Coffee and home baking is served on arrival. Forest Park House is renowned for its friendly service and high standards, so you are guaranteed a pleasant stay. Linsfort guest house accommodation contains four guest bedrooms. All rooms are en-suite and most guests comment on how clean and spotless everything is. Attention to detail is very important to Linsfort in order to enable you have a pleasant stay. 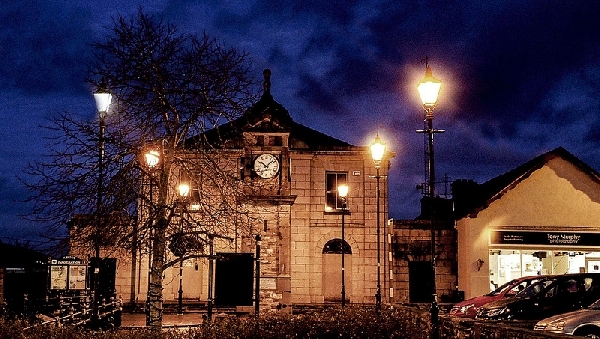 A warm welcome awaits you here in the heart of Boyle Town! Their two B&B rooms are situated in the main building on their four star adults only caravan park. The B&B rooms have a separate entrance and are up one flight of stairs. Breakfast is served in the club room on the ground floor. Free parking is available on site. Both rooms have en suite facilities, a small TV and tea and coffee making facilities. Wi-fi available. Ideal for fishermen, cyclists, hikers or couples looking to explore the north west of Ireland. Many tourist attractions in the area include Kings House, Agrina Mines and Eagles Flying. They are within an hour's drive of the Wild Atlantic Way hosting numerous sandy beaches. Boyle is their closest town for supermarkets, local shops and restaurants. Lough Key House is a beautiful 200 year old Georgian Period house. It is run by Frances McDonagh who offers it’s six bedrooms to warmly welcome guests. All rooms are individually decorated and furnished with four poster beds and period style furniture. The three front bedrooms each have their own luxurious bathroom with separate bath and power shower, while the smaller bedrooms have power showers. Lough Key House featured on RTE's "At Your Service". See John and Francis Brennan's ideas on how to improve the house and the transformation that ensued by clicking here. Rosdarrig House is a four star Fáilte Ireland approved luxurious Bed & Breakfast offering genuine Irish hospitality. There are 5 beautifully appointed en-suite bedrooms that can sleep 2-5 people each. It is an ideal base from which to tour the west and northwest and is only 40 minutes from Ireland West international airport. Rosdarrig boasts beautiful gardens and is a pleasant walk into Boyle Town. A modern farmhouse situated in peaceful scenic surroundings overlooking Lough Arrow and several mountain ranges. A warm welcome and friendly atmosphere awaits you from the Gardiner Family. Visitors can relax & unwind in the guest lounge, enjoy home baking and start your day with a traditional cooked breakfast. Choose from five comfortable en-suite guestrooms - two family rooms, one double room and two triple rooms (one double and one single). This is a working farm in the idyllic location of the Bricklieve Mountains and Carrowkeel Megalithic Tombs.